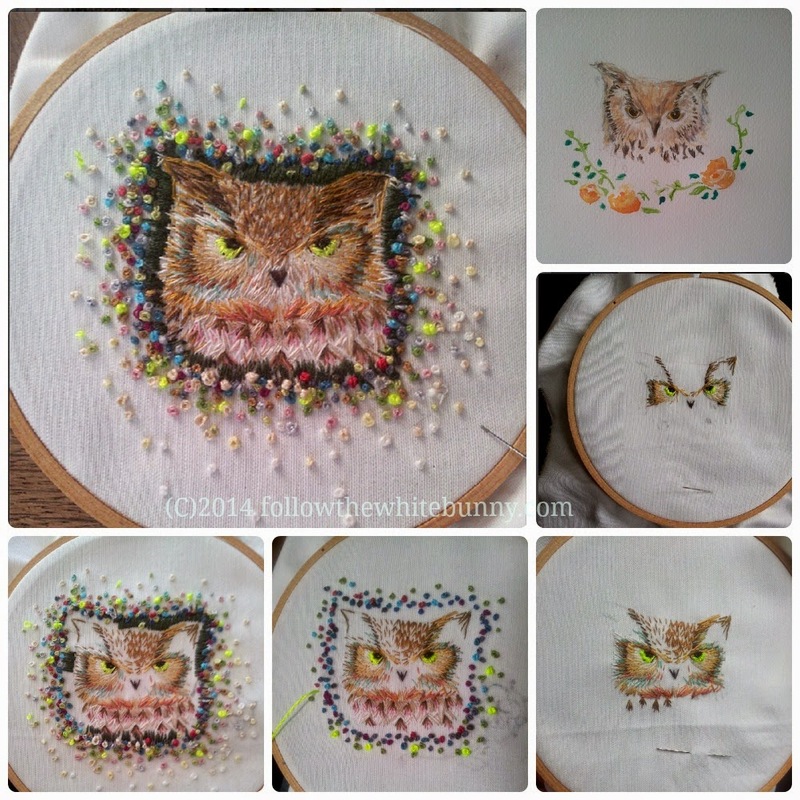 Of all the embroideries I did this past year, my Owl embroidery is probably the piece I'm most proud of. I have regularly posted updates on Instagram of its progress and I thought it would be fun to put them all together: from (water colour) sketch to finished embroidery. P.s. if you have time please vote in the &Stitches Poll I made. 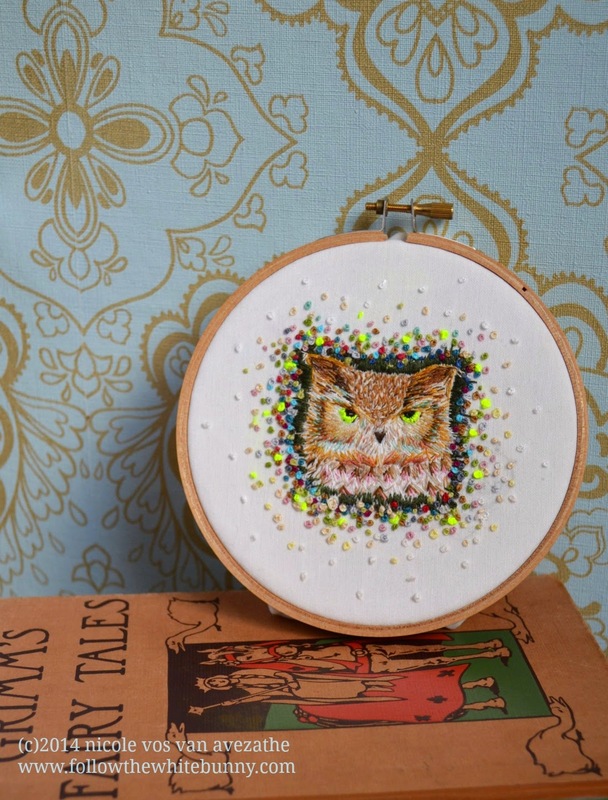 We want to know your favourite embroidery techniques! Because it's likely you have several favourites you can choose three. :) You can vote here. Thanks! Your owl is so beautiful! And just that bit of neon, cool and not to much: very good!!! !